This system is similar to Seichim Reiki with the addition of special Tara symbols, as well as of chants and mantras and prayers to Green Tara. The energy of Green Tara is similar in feel to Isis Seichim but much more relaxing. It brings peace, harmony and balance. Green Tara Seichim developed as an additional energy empowerment and booster for master practitioners and master teachers of Reiki. It was created by Stephen Comee, a ngakpa (lay ordained practitioner) in the Nyingma Tradition living in Japan. He fused the teachings on Tara he had received from great Tibetan Masters to create a new system which could be used to improve one's spiritual practice or to increase healing abilities. Seichim healing practice is becoming known in all cultures throughout the world. It has a built-in spiritual dimension. Seichim is a unity concept, because it is now accepted globally. Seichim teaches unity and harmony. Seichim is in harmony with nature and can be used to heal plants and trees, people and animals, and can even be used to help purify and harmonize water and air. The practice of Green Tara helps to overcome fear and anxiety, devotees believe that she can grant wishes, eliminate suffering of all kinds, and bring happiness. e. All our wishes can be fulfilled, e.g. it can help us with our health,business, getting a job, having a child, etc. 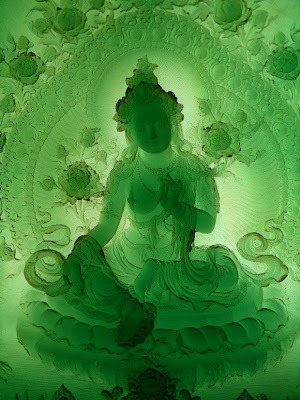 What Is Green Tara Seichim? Who Is Tara and Why Do We Pray to Her? Prerequisite: You must be a Usui Reiki Master to receive the Green Tara Seichim Master Attunement. After the attunement and study of the symbols you may Attune others to the Green Tara Seichim energy.